We can evaluate systems, websites, and devices against your accessibility standards and provide you with targeted, actionable recommendations for compliance. We believe that a good user experience is one that meets the needs of all users. That’s why we consider accessibility in all of our work, whether or not the project specifically calls for it. Similarly, we consider usability in all of our accessibility projects. By ensuring products are usable and accessible to people with disabilities, we improve the experience for all users. We take a multi-modal approach to each evaluation so that we can accurately identify - and determine the cause of - each accessibility violation. 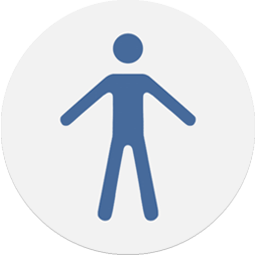 Whenever possible, we include people with disabilities as expert evaluators or as participants in a usability test. We are vendor-neutral with respect to the fully automated code checking tools. If you already have the license for a code checker, we can make use of it. If not, we will make use of a set of widely used open source tools to identify potential issues. We manually inspect code, dynamic content, and document formatting in order to identify or confirm issues that may be hidden to the naked eye. We use assistive technologies like screen readers, speech recognition software, and magnification tools to verify accessibility issues that may be present. In addition to identifying accessibility issues, we help you fix them. In many cases, we can even do the fixing for you. We adjust document markup (headings, alt text, etc.) and redesign page layouts and tables to make your documents more accessible. We convert your documents from a variety of file formats (including Word, Excel, PowerPoint, Publisher, and InDesign) into accessible PDFs. We design, create, and test accessible PDF and HTML forms. We can also update certain HTML webpages with accessible code – or provide you with specific code recommendations for your developers to implement. The best way to create accessible products is to increase awareness among designers and developers. We can train your team and help you build accessibility into the design process.